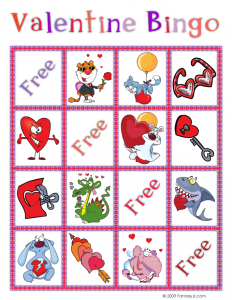 No Valentine’s Day party is complete without some fun and free Valentine games. 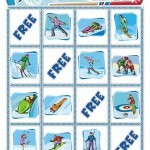 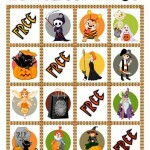 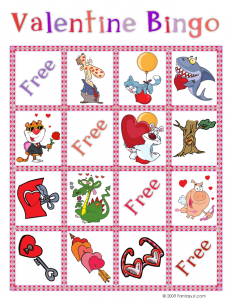 Here’s the latest addition to our ever growing collection of printable bingo games. 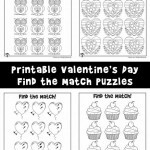 These games take quite a few hours to make, but they are so darn popular that I can’t help but put them together for you! 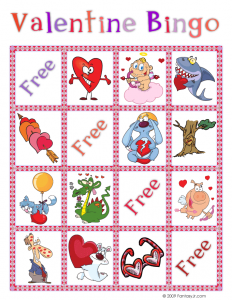 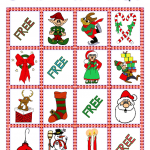 This picture bingo game is perfect for younger kids and especially Valentine’s Day classroom parties. 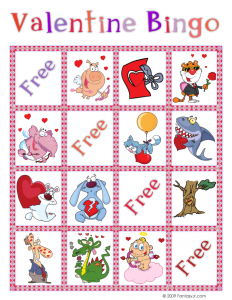 It features sixteen different cute images of hearts, cupids, lovestruck animal characters, and valentine cards. 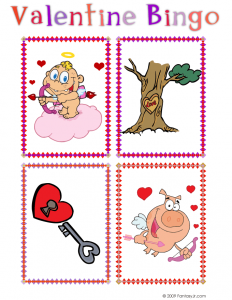 Play the game by printing out the four pages of calling cards and cutting up the images, stacking and shuffling them into a pile as you would playing cards. 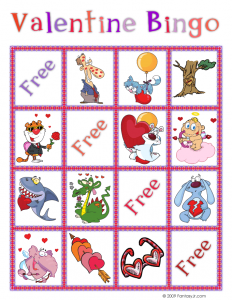 Give each player a bingo card (there are ten different configurations, so if you have more than ten players, you’ll always have potentially more than one winner at any given time. 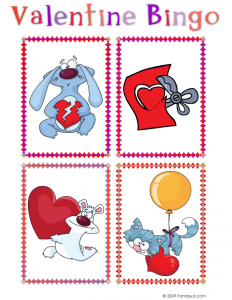 You have several options for using card markers – kids can cut out circles from construction paper, or you they can use small pieces of candy. 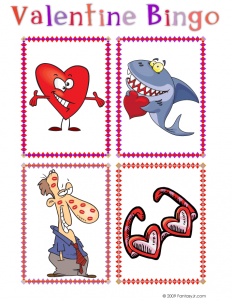 Each time a new calling card is pulled by the leader, the kids put a marker on the corresponding valentine picture. 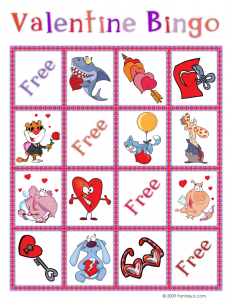 There are four ‘Free’ spots on each playing card, and the kids only need to gather a minimum of three more images to get four in a row. 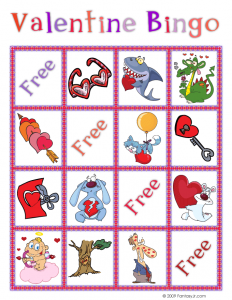 So this game is both fast and easy, so it’s very appropriate for preschool and young children with short attention spans. 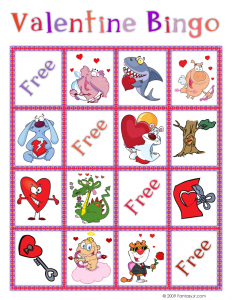 And of course, whoever gets four in a row first, wins! 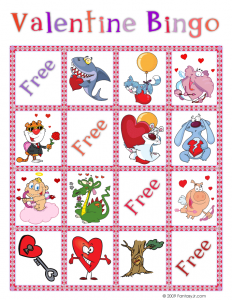 Check out all of our Valentine’s Day kids activities while you are here! 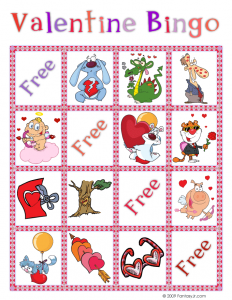 Thank you so much for this wonderful Valentine Bingo for Kids. 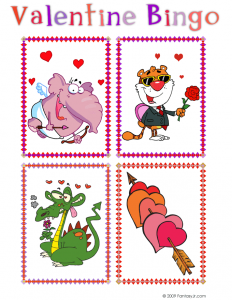 The animal picture is really great. 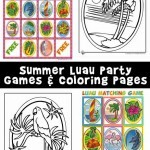 Kids will going to love it.